UP THERE, EVERYWHERE connects you with a global team of brand, identity, digital and communication experts committed to helping you reach your marketing goals. We deliver amazing work efficiently and cost-effectively; adopting tried and tested agency methodology where appropriate, but utilizing the very latest cloud based tools. Your UP team will consist of an account manager, plus the creative, strategic and digital specialists needed for the assignment. We also have more specific skills on hand, including social media experts, PR strategists, market researchers, multimedia designers, content experts and many many more. We also have experts in specific industry focus areas such as life science marketeers, Ph.D writers, place brand strategists and more. The cloud enables us to work with you 24/7, across multiple time zones, using sophisticated digital tools for communications, project management and digital file storage. Your work remains safely at your fingertips. When it comes to budgets we’re totally upfront. UP works with fixed-price estimates, both on projects and consulting work. With some clients we agree retainer fees where this is economically beneficial to both parties. We’ll always keep you in the loop about how we allocate budgets and incur costs. Our own bespoke finance and admin system, the UP SUPER System, keeps track of all projects, billings and costs and helps keep you up to date on your budgets. 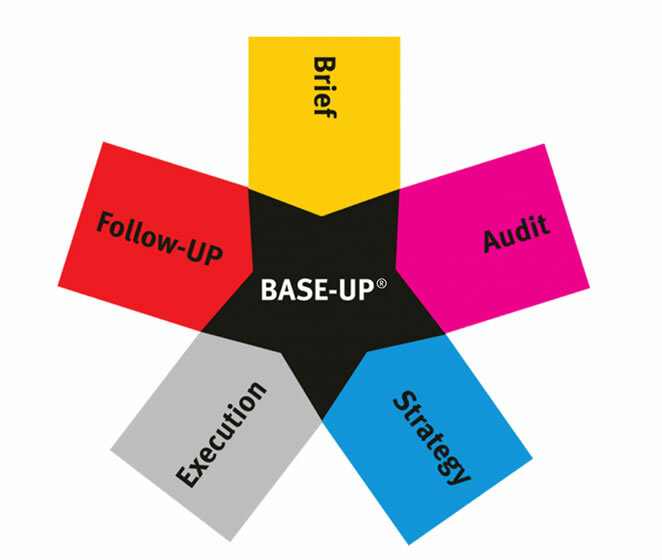 BASE-UP is our own project management process. It was developed by UP’s founder Julian Stubbs over fifteen years ago even before UP was created, and is used to manage and run all client projects. We love it because it guides us systematically through each project phase. We think you’ll love it too. BASE-UP was first featured in the best selling project management book in the US, The Project Managers Desk Reference by Dr James Lewis. E-Ployment is a new way of working providing the support of employment, with the freedom of being an individual worker all enabled via easy to access cloud based tools.